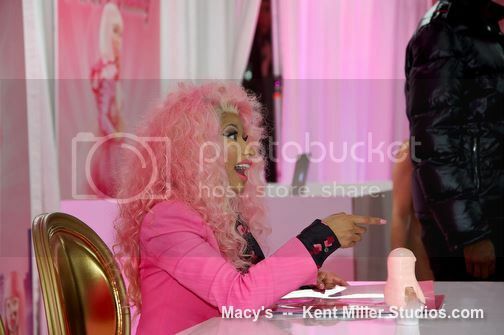 Nicki Minaj launched her new fragrance, Pink Friday in Queens Center Mall in New York on November 20th. The fruity fragrance features florals, warm vanilla, musks and woods and is now available in Macy's for $59. It is packaged in a gold and pink bottle formed as a woman's body wearing a "Nicki Minaj" name template necklace. It was an all pink event as Nicki her self wore bright pink from head to toe, including a pink curly wig. 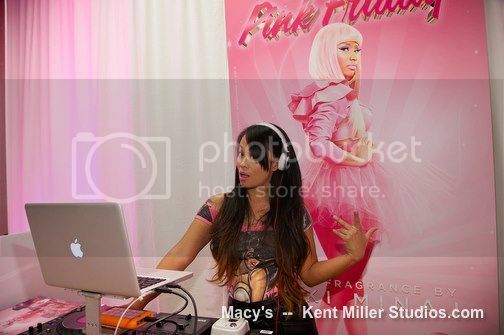 She tweeted to her Barbz and Kenz that came to support: "Had a blast @ my fragrance signing. 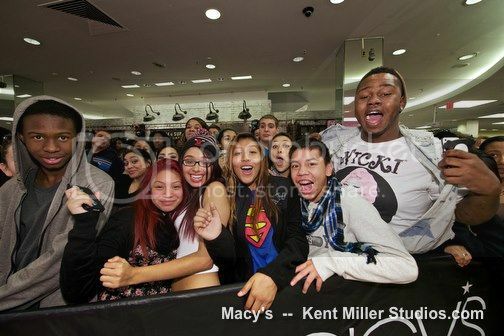 Thank u guys so much for coming out!!!!!! Queens baby!!!!!!"